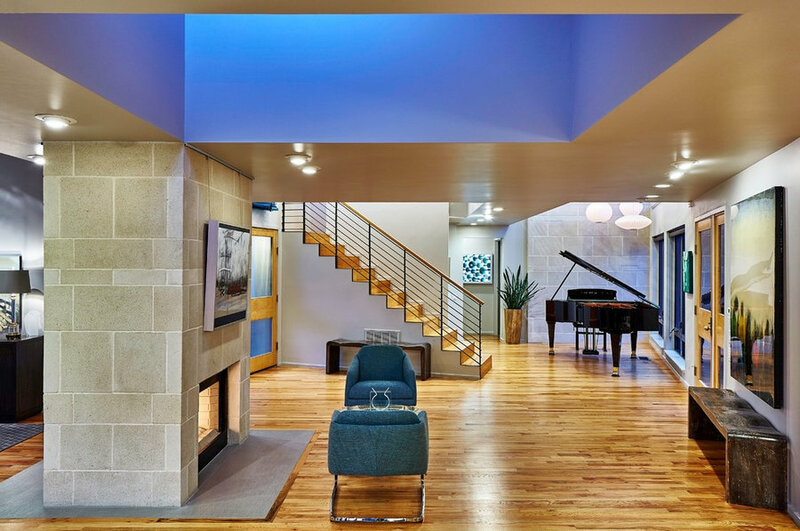 The Cherokee Trail residence consists of two narrow wings joined by a two story connector that serves as the entry and stair hall. 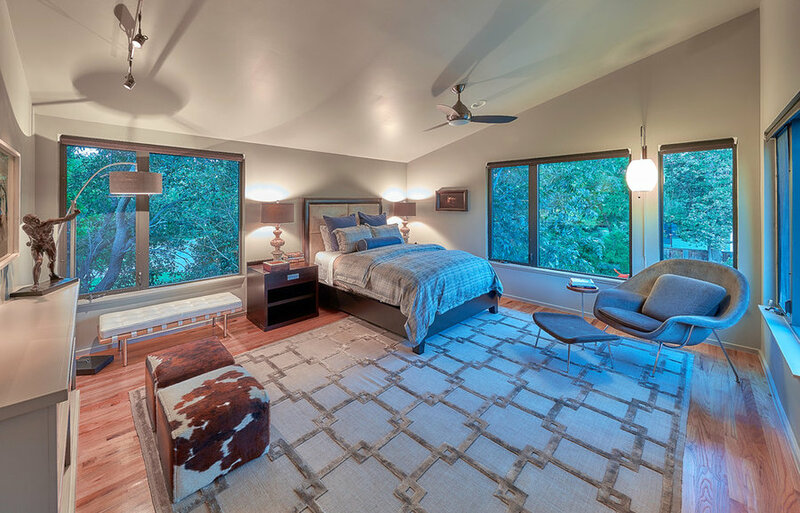 The narrowness of the wings allows all rooms to be day-lit from two sides, which enhances the experience of the changing cycle of natural light through the day as well as reducing the energy used for electric lighting. 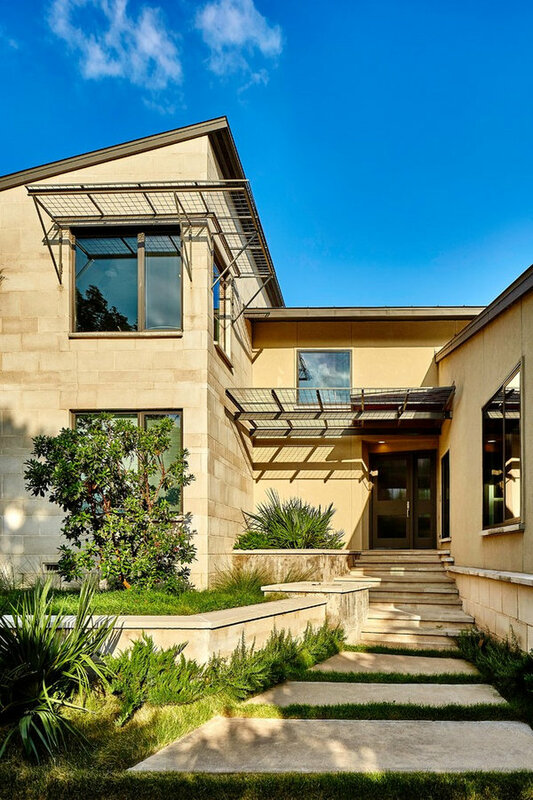 At the rear of the property, the two wings are splayed to conform to the pie-shaped site. 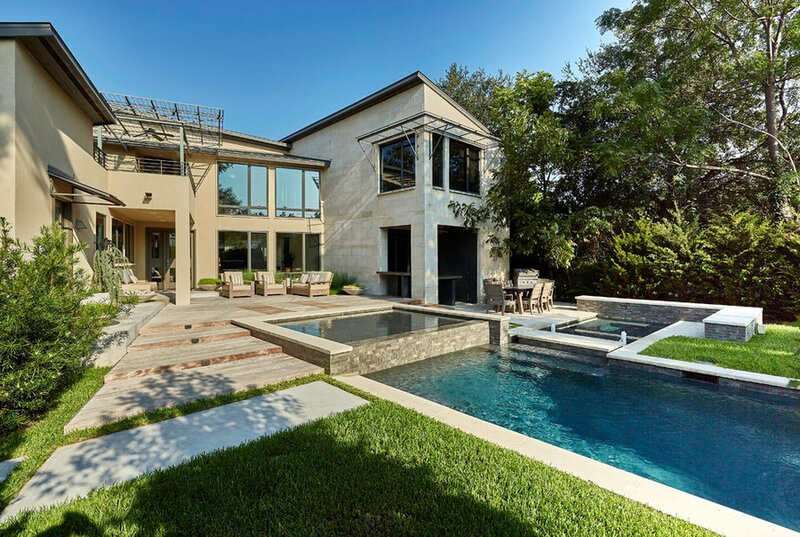 This opens up the back yard for an expansive deck, outdoor kitchen, and dining patio surrounded by three interconnected pools. 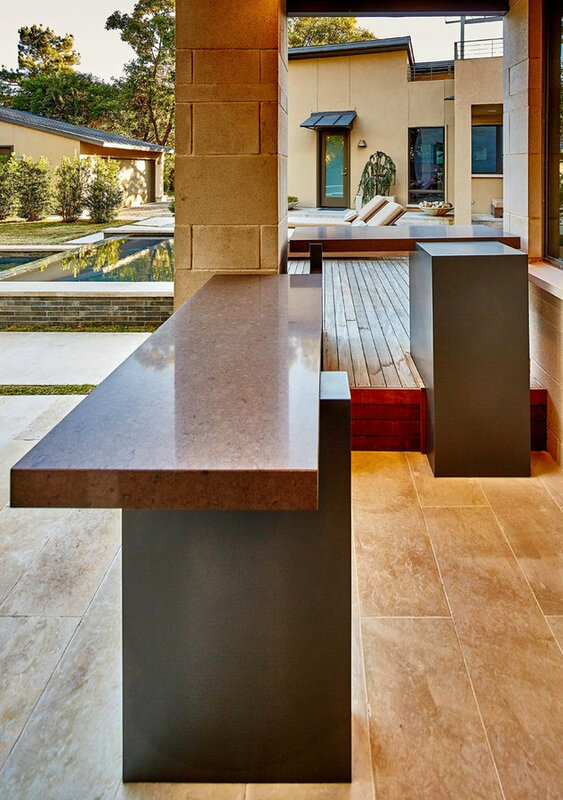 The outdoor kitchen responds to the interconnectng pools with the overlapping planes of its countertops. 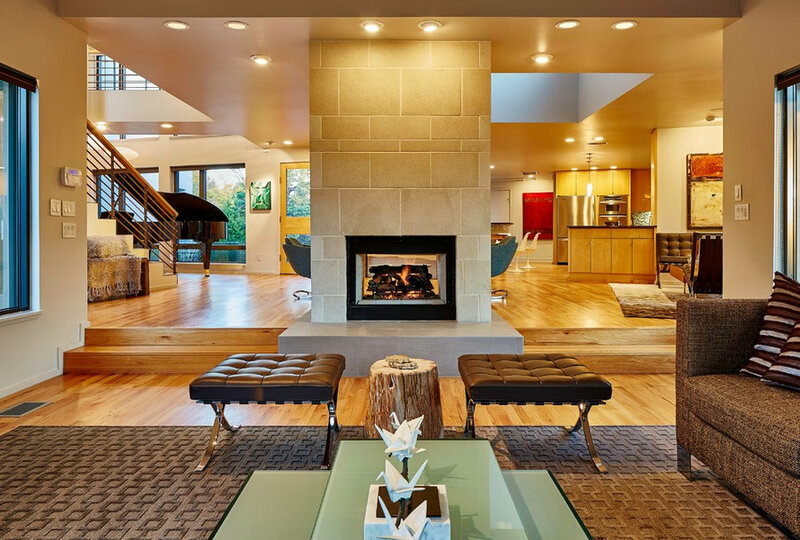 Inside, the living room steps down in response to the slope of the site. 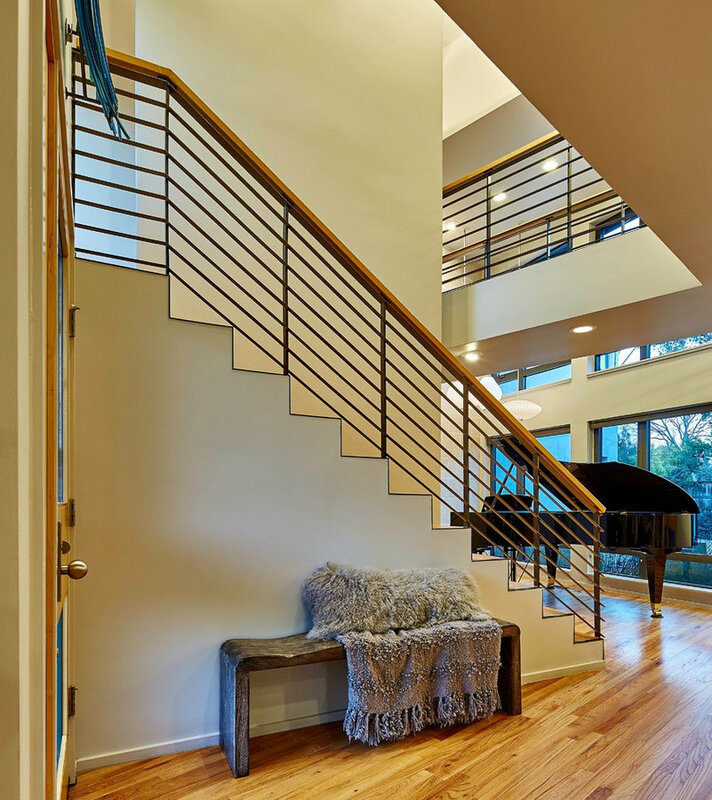 The two splayed wings converge on the interior in a triangular stair well that punctuates the two story entry space. 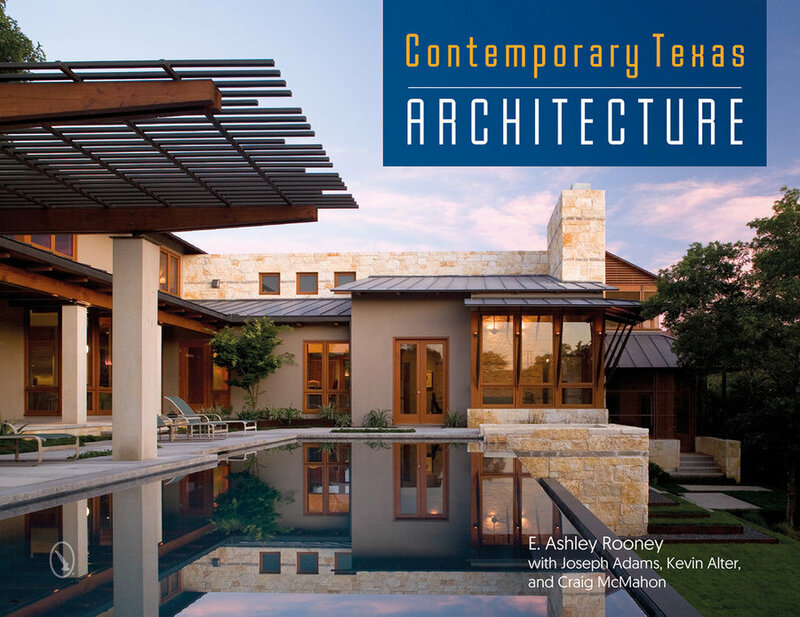 Contemporary Texas Architecture by Ashley Rooney, Schiffer Publishing, 2017, features the Cherokee Trail residence.